Our goal is make you feel relaxed and comfortable when you see a dental hygienist. When searching for a dental office in the Clayton, North Carolina area, you probably put emphasis on the relationship you experience with the staff. Here at Dental Oasis of Clayton, we understand that you particularly want a dental hygienist who will make you feel comfortable and relieve any anxiety you may have about dental services. 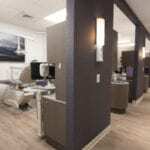 You will quickly recognize that we are passionate about providing you with the comfortable, relaxed, anxiety-free environment that will make your dental exam visits pleasant. You also find that you will get personal attention from your dental hygienist and everyone else in our office rather than the “get you in and out fast” type of service often experienced at chain dental centers. Not only will you benefit from the knowledge your dental hygienist obtained when they entered the field and subsequent experience, but also from the top-of-the-line equipment they use and their continuing dedication to stay informed of the latest advances in the dental industry. One of things that sets us apart from other dental offices is our expertise with helping high-anxiety patients feel more relaxed. We offer nitrous oxide, which is helpful for feeling calm during dental services from your dental hygienist or the dentist. We also utilize other calming techniques, including neck wraps, warm face cloths, pillows, blankets, and streaming of your favorite TV shows, movies, or music. If you have any questions about our services or would like to schedule an initial consultation or dental exam, don’t hesitate to give us a call.